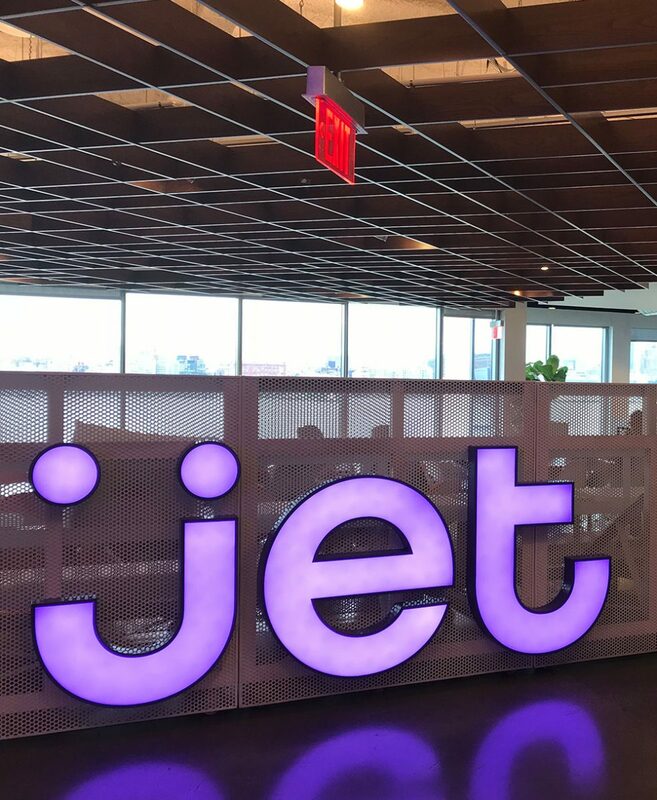 Jet.com selected SJP as Construction Manager for its six-phase, multi-year build-out of its headquarters office space in Hoboken, NJ. The SJP team executed a cutting-edge, modern office space that is a reflection of the forward-thinking Jet.com brand. The project included interconnecting staircases between floors. The finished space features opening floor plan with exposed ceilings, stained concrete floors and detailed finishes and branding.